Lake Charles in Louisiana is the idyllic spot to catch some sun and enjoy the tranquil miles of freshwater. When a group of 20-something's meet up at their island lake house for a weekend of partying, one of the friends never shows up. 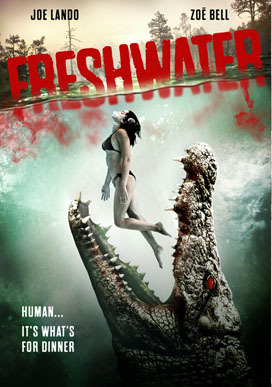 As more lake visitors are yanked underwater by an unknown creature, it's up to the new sheriff and a skeptical wildlife researcher to discover and stop an ancient predator, built to feed on any warm flesh available.